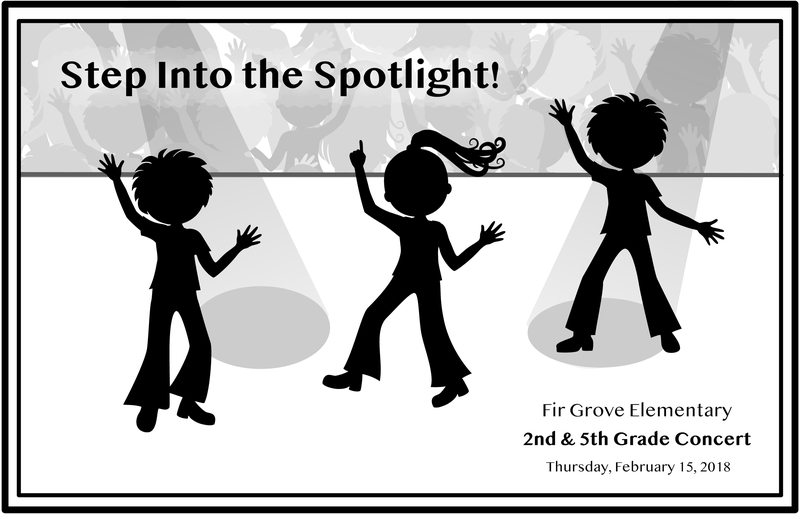 Please join us in the Fir Grove Elementary gymnasium at 6:30pm on Thursday 2/15 for our 2nd & 5th grade music concert. Doors open at 6:00pm and admission is free! Song selections include This Land is Your Land, Purple Light, The Frog and the Mouse, Step Into the Spotlight, Einini (Gaelic lullaby), Ehara i te mea (Maori folk song), Love is the Magic Word, and a few special solo presentations by students! Please join us in the Fir Grove Elementary gymnasium next week at 6:30pm on Thursday 12/14. Doors open at 6pm and admission is free. 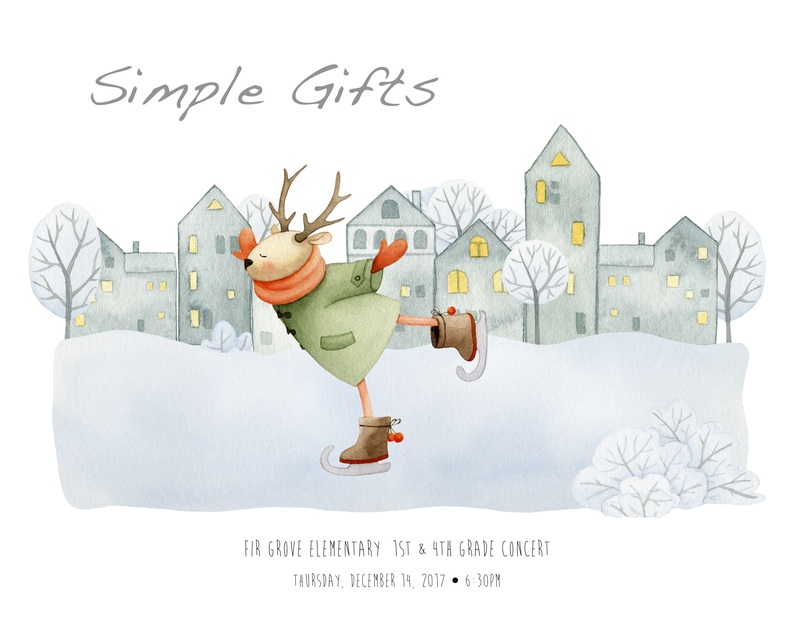 Song selections include Do Re Mi (from The Sound of Music), Over the River and Through the Woods, Peace Round, Simple Gifts, Carol of the Bells, Tongo, Winter Fantasy, and Sleigh Ride. At Fir Grove, students learn about a featured life skill each month, and September is all about FRIENDSHIP. The student body will sing “We’re Going to be Friends” by Jack White at our next school assembly. Wanna join us? 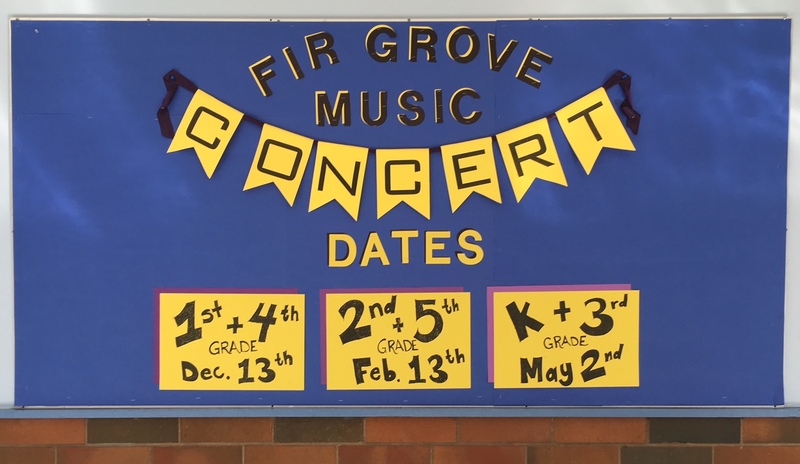 You can practice at home by singing along with this recording of Ms. Kingsford’s 4th graders!